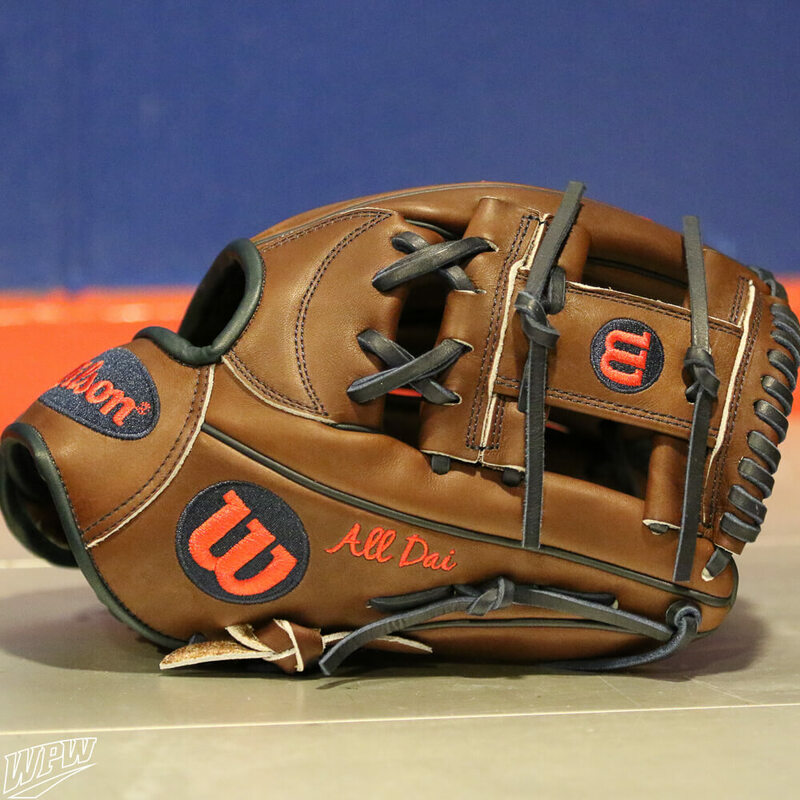 The Dansby Swanson game model is your typical Wilson A2000 1787 model, measuring in at 11.75” with an I-web. 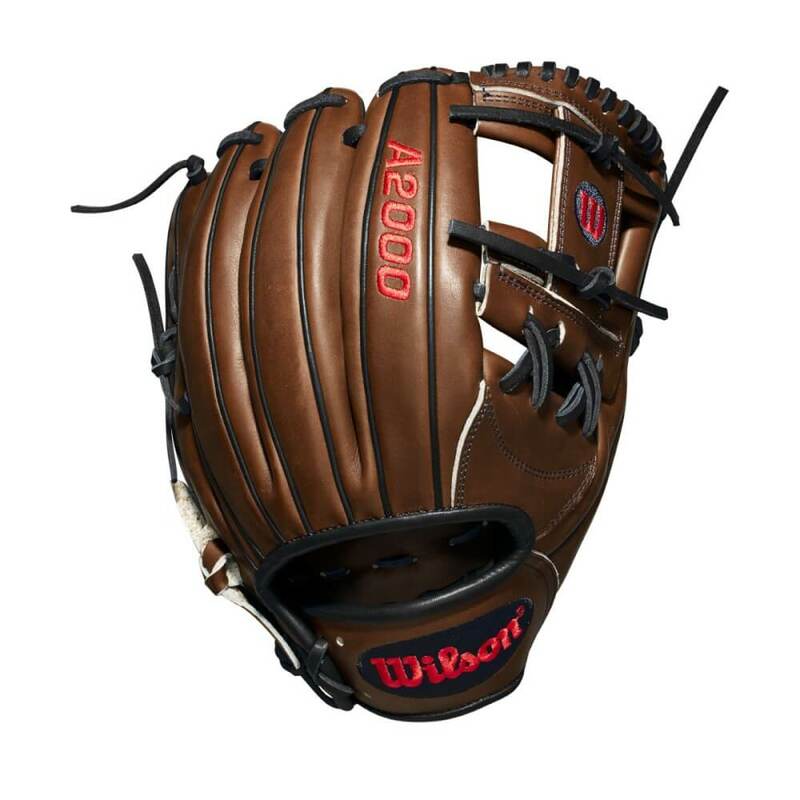 In addition to the longer length, the Wilson A2000 1787 has a medium depth pocket that works well for either third base or shortstop. 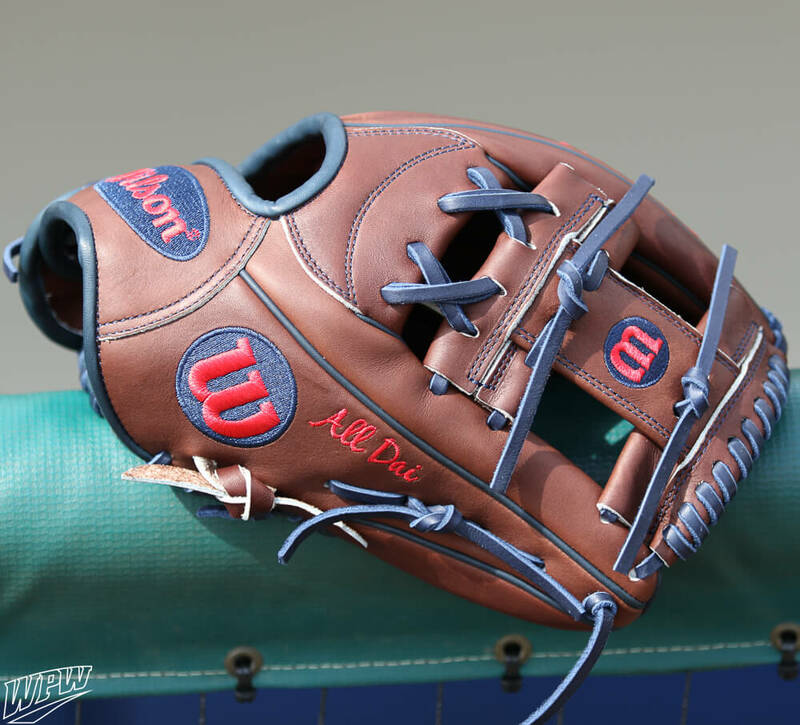 The blonde look is cool, but it is not nearly as unique and fresh as the dark brown, navy, and red look the now-released A2000 1787 features. 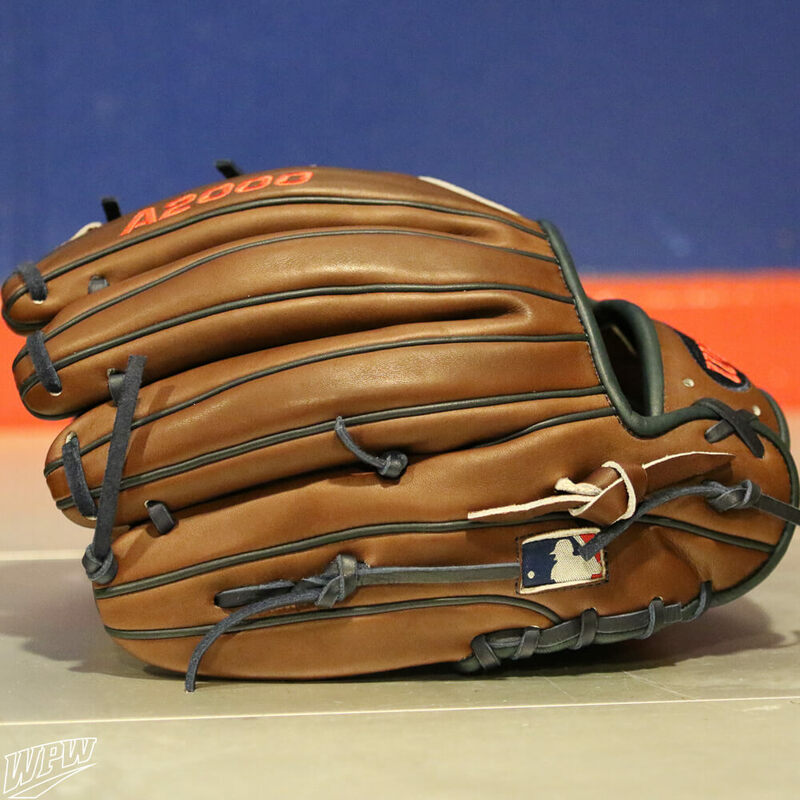 Based on all of the features of the Wilson A2000 1787 Dansby Swanson game model, we recommend it for shortstops or even third basemen looking for a pattern with a solid pocket and sufficient length. 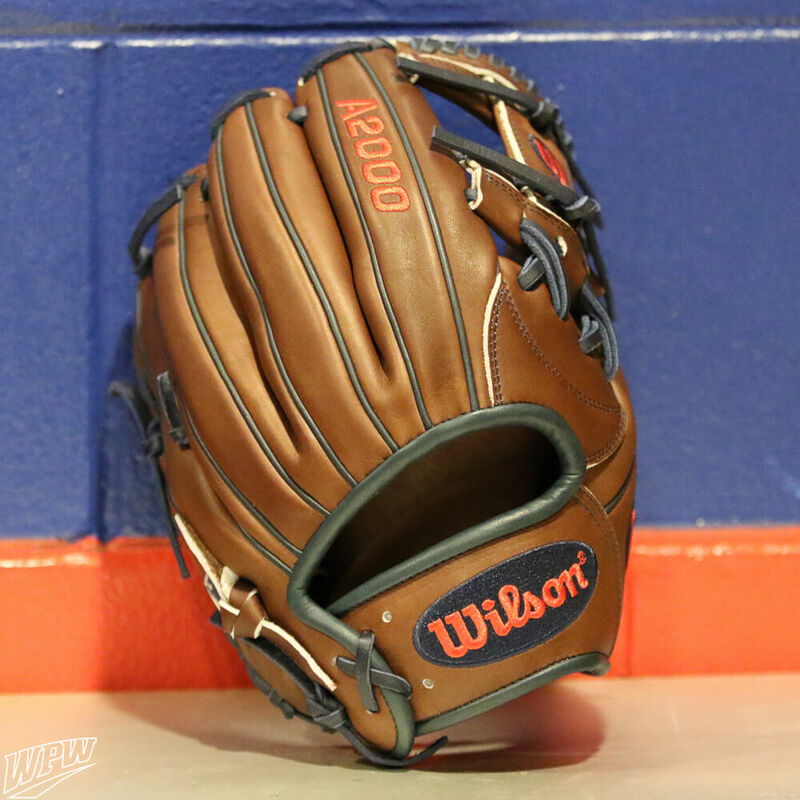 The Wilson A2000 1785 is a brand new glove from Wilson, featuring a brand new pattern that is completely different from Wilson’s current offerings. 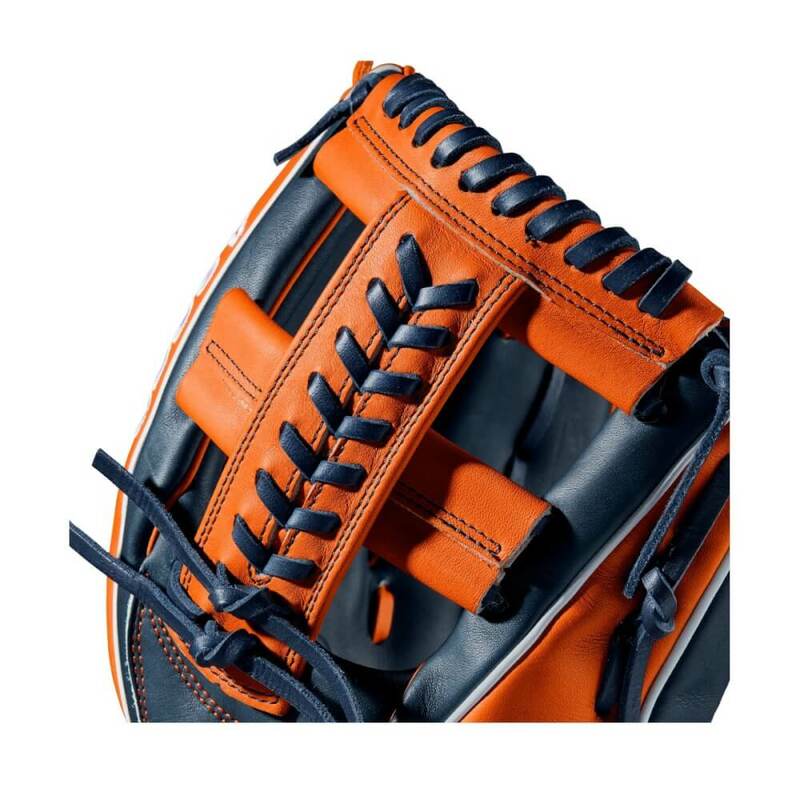 The 1785 pattern, an 11.75” pattern with a laced cross web, plays shallower and rounder than the aforementioned 1787 due to a feature called “Gap Welting” (the notch between the index and middle fingers). The colorway on the 1785 has to be one of the loudest we’ve seen, as the orange and navy look is just something that stands out. 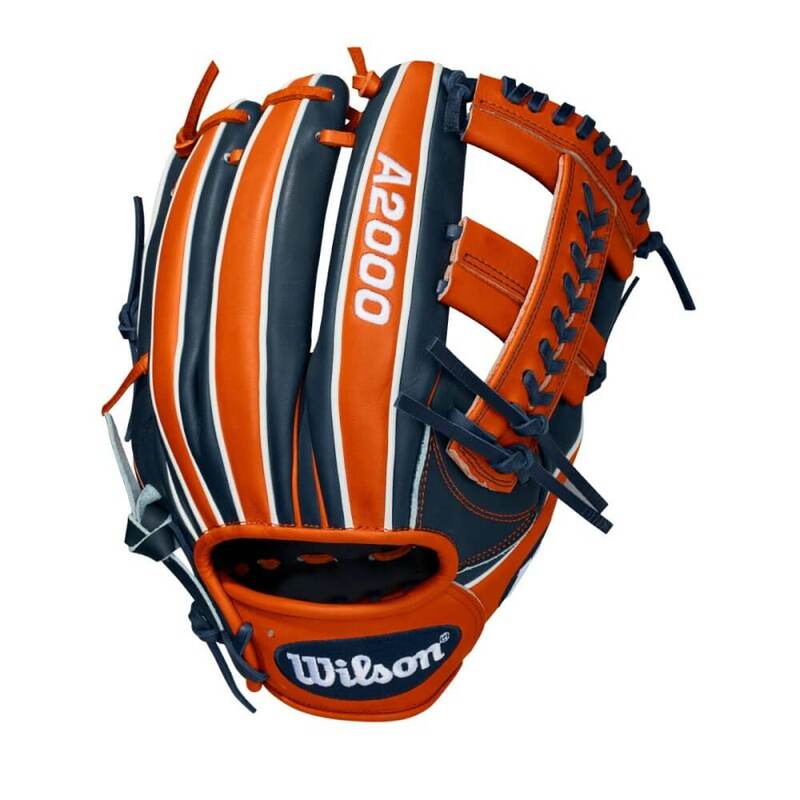 In addition to the orange web and navy palm, the Wilson A2000 1785 has orange and navy finger stripes, navy/white logos, and white welting. It is Astros-themed, and if you’ve got any navy/orange in your jersey this one would look great. 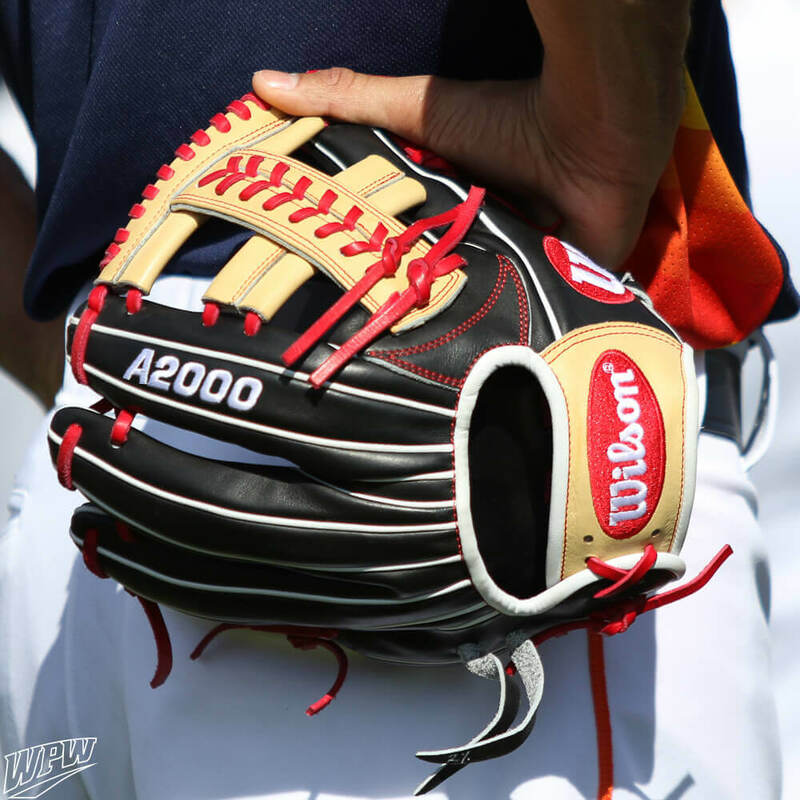 While they are obviously not the same colorways, I thought it was a good idea by Wilson to steer towards the Astros-themed design as opposed to the blonde, navy, white, and red mixture. 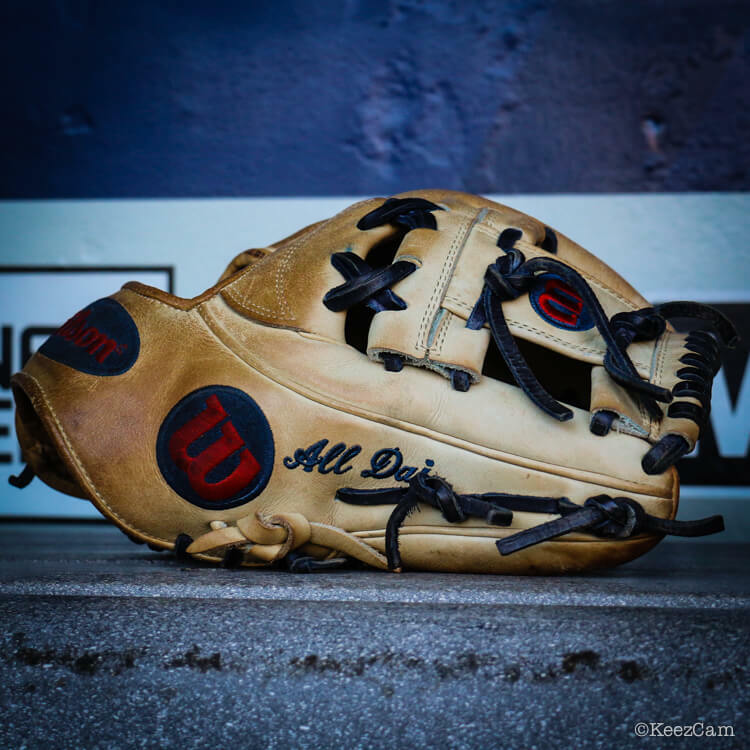 Due to the features of the Wilson A2000 1785, we recommend it for third basemen or shortstops looking for a shallower 11.75” glove that also stands out.